Why Do Clinicians Choose WCEI® for their Wound Care Certification Training? Wound Care Education Institute’s Skin and Wound Care Management training course provides continuing education hours for RNs, LPN/LVNs, PTs, PTAs, OTs, NPs, PAs, and MD/DOs. Because it is offered both onsite and online, this comprehensive course meets the lifestyle needs of a wide range of multi-disciplinary clinicians. Its online availability eliminates the expense of travel, hotel and employee time off. The National Wound Care Certified (WCC®) exam is administered onsite with an exam proctor or at a convenient testing center. WCEI course meets current standards of care and teaches clinicians to be legally defensible at bedside. The pass rate for students that take WCEI® course and then sit for the WCC® exam is 89%-91%. Significantly higher than other courses. WCC is the largest network of Wound Care Certified clinicians nationwide. WCEI works directly with VA, Military, and hospitals that have achieved Magnet recognition along with Long-term, Home Health and Hospice care organizations. WCEI has also partnered with various universities and colleges providing continuing education to health care providers. WCEI has developed state funded educational programs with several organizations in WI, MD, MA, NJ, and RI. Combined greater than 600 healthcare professionals received state funding to sit for WCEI comprehensive skin and wound management course and WCC exam. WCEI is committed to the success of their alumni and support them throughout their wound care career. Clinical support is available following certification to assist them in the field. The WCC® certification is a prestigious, highly recognized credential offered only through the National Alliance of Wound Care and Ostomy™. The WCC certification program is accredited by the National Commission of Certifying Agencies (NCCA®), the accreditation body of the Institute for Credentialing Excellence (ICE®). Certification programs that receive NCCA accreditation demonstrate compliance with the NCCA’s Standards for the Accreditation of Certification Programs, which were the first standards for professional certification programs developed by the industry. Save $100 on registration for on-site WCC course only. Coupon code: BLOG. Coupon code must be used at time of purchase/registration. Existing registrations are not eligible. Coupon expires12/31/2013. I am a Wound Care Certified Clinician, Now What? Posted in Wound Care | Comments Off on I am a Wound Care Certified Clinician, Now What? Paying It Forward and Making It COUNT! In 2010 we achieved over 10,000 Wound Care Certified clinicians to our family. This has given us an idea of the incredible size and strength of our community of clinicians. As we grow and evolve in our careers, many of us want to find ways to “pay forward” the opportunities we’ve had and help to build the community of the future. In this session, we’ll explore ways to share our talents through mentoring, precepting and the training of others. Topics include preceptor tools, presentation and training tips, and how to build wound care teams. We’ll look at exciting new ways to inspire others and find ways to use our experience to create a new career in the industry and give back to our communities. Posted in Wound Care | Comments Off on Paying It Forward and Making It COUNT! Happy New Year from the Wound Care Education Institute. As 2011 gets under way, many people make New Year Resolutions of one sort or another. Maybe some of the resolutions include losing weight, get organized, or buying a new house. Others may include to take a long needed vacation or spend more time with one’s family. Some focus their resolution on their careers. For those of us providing health care, more specifically wound care, one of our career resolutions may be to heal more wounds. For those of us that are Wound Care Certified, we can use what we have learned to stomp out those pesky wounds we see on a daily basis. We can help educate the patients and the family members or loved ones of the patients we treat. We can teach them to care for their wounds and their overall health in ways that they may not have understood. This may include teaching them about their ‘disease’ processes or simply about their medications and how to apply their wound care dressings. Others who may not be Wound Care Certified yet, may make their New Year Resolution to finally get Wound Care Certified. The Wound Care Education Institute can’t wait to make your Resolution possible. Its rewarding to see others who were looking forward to taking the Skin & Wound Management Course and NAWC Certification Examination. Recently I had the opportunity to speak with two nurses, Donna and Stacy, who enrolled in the class and passed the exam. How’s that for a Resolution? Good luck Donna! I know you’ll be an awesome Wound Care Nurse! I had an opportunity to work with another nurse, Stacy, in a different capacity. She worked for a DME (Durable Medical Equipment) company as a Clinical Support Nurse. While working for a wound care center, Stacy helped out in various ways that made getting our patients what they needed from the DME much easier and seamless. At some point, I had the opportunity to visit the DME office and inservice their sales personnel about Wound Care and some more common wounds that we typically see in a clinic. Stacy and I remained in touch and she showed interest in becoming Wound Care Certified. I encouraged her to go for it and take the class. Recently, Stacy contacted me and said she would be taking the class in Boston in November. Due to circumstances, she ended up switching classes and attended the class in Carolina. It was awesome to hear that she loved the class as well as learning all about wounds and wound care from her instructor. It was even better to hear her excited voice when she called with the good news that she passed the exam. WCEI loves to hear these stories. We know that there are many more out there about those that wanted to take the course and eventually did and successfully passed the exam. We know that there are more Resolutions out there to get Wound Care Certified. 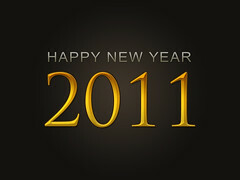 What Resolutions do you have for 2011? I saw this video recently on YouTube and it got me thinking about assessment skills when it comes to wounds. As Wound Care Certified Professionals, we are held to a higher standard and our biggest skill and tool is our assessment skill set. The video above is a fun video and if your awareness is top notch you may have seen the Moonwalking Bear during the first segment of the video. However, if you didn’t see the Moonwalking Bear, you may have seen it in the second segment. Didn’t see it? Stop reading here and take another looksie at the video. It was easy to miss. Thats my point. What are you missing in your wound assessments? Are we so busy, just ‘changing the bandage’ and getting to the end of our day to miss what may be happening with our patients? I know you may be saying, that we are forced to move quickly because we have so many patients on our case load or to see during the course of our day. It doesn’t take long to miss something that may be vital to the outcome of our wound care.